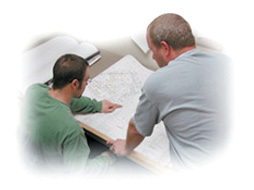 With over 50 years of combined estimating experience, we can quickly and thoroughly put together pricing from a conceptual budget to a detailed price encompassing all of our specification sections. We pride ourselves in providing personal, friendly and knowledgeable project managers who work with you to keep your projects on time. Their field coordination gives you a level of comfort which allows you to concentrate on keeping the other trades on schedule. 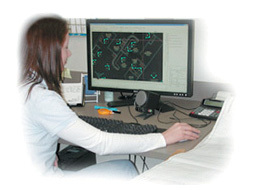 We feel keeping drafting in-house allows us more control to better serve our customers. We can instantly provide details every step of the way assuring our customers the finished product will meet their needs. 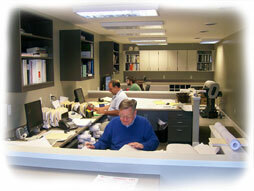 Our knowledgeable production staff work tirelessly to engineer and fabricate materials to your exact specifications. 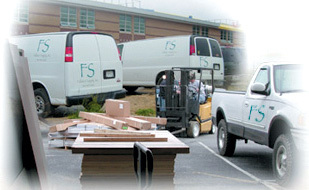 Unlike many of our competitors all of Fallston Supply's installers are in house employees. 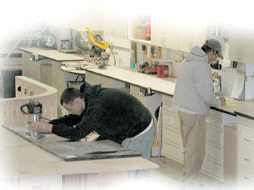 We are dedicated to the highest degree of quality and can only assure this by hiring and training all of our installers. Each Crew is friendly, highly skilled and dedicated to giving you their utmost cooperation and attention to detail in completing your project.